An all inclusive 4 Day Kruger Park safari offering a fantastic wildlife experience combined with Luxury African Lodge accommodation. 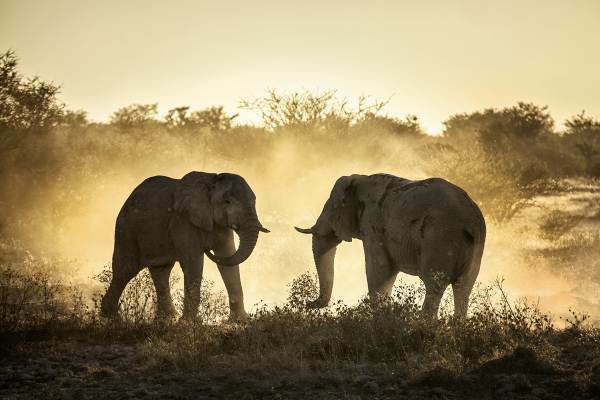 Open vehicle game drives in both the Kruger Park and Private Reserves allows for fantastic animal sightings and photographic opportunities of Africa's famous wildlife. Exciting game drives and the comfort of this exclusive lodge, makes this an memorable Kruger Park safari experience. This Kruger Park adventure begins with an early morning departure from Johannesburg. We travel across the “high veld” to the Drakensburg escarpment, where we descend into the “low veld” – ideal conditions for wildlife and a popular area for safaris. On arrival at the lodge, we have lunch and some time to unwind before our first game drive. This afternoon / evening game drive takes place in the private reserves and gives us our first opportunity to view Africa’s incredible wildlife, including the Big 5. Dinner is enjoyed under the stars. An early start to the day with tea and coffee before heading for the Kruger Park in our 4x4 open vehicle. 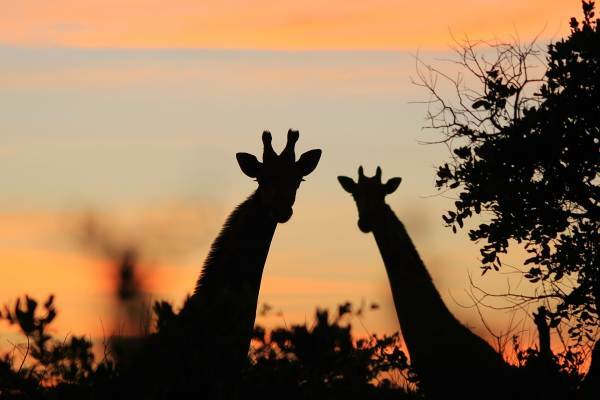 We enter the park as the Kruger gates open and enjoy an exciting sunrise game drive. 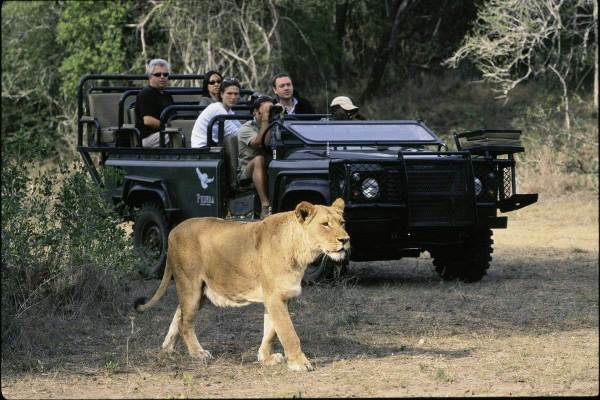 The especially adapted vehicles allow for excellent game viewing – have your cameras ready. A mid-morning stop for a packed breakfast and our search for wildlife continues. 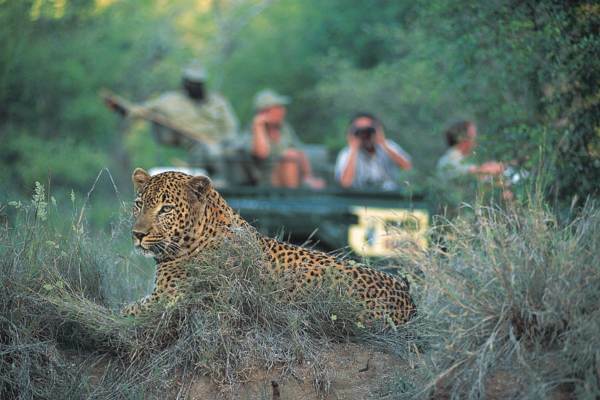 The experienced guides have an in depth knowledge of the Kruger Park and know all the best waterholes and areas to spot animals. A welcome stop for lunch at one of the Kruger rest camps, and we continue our search for the Big 5. After a full day of exploring the Kruger, we leave the park and head back to the comfort of the lodge for dinner. Day 3: Kruger Park and Surrounds. Today we have the day at our leisure. Relax around the pool and soak up the bush atmosphere or partake in one of the activities available. Below are some options should you like to partake. In busy seasons it would be a good idea to book these activities in advance with your reservations consultant. Optional Activities are subject to availability. Kruger National Park Day Trip – Another full day in the Kruger National Park on an open 4 x4 Game viewing vehicle, more opportunity to get wildlife sightings and photos. Full Day Panoramic Route – Includes a full day drive along the scenic panorama route taking in Three Rondavels, Bourke’s Luck Potholes, Lisbon Falls, God’s Window and Pilgrim’s Rest. An early morning guided nature walk gives us a chance to learn about the spoor (tracks) of the various animals, bird life and more. After breakfast we leave the Kruger and head to the Blyde River canyon (part of the Panorama route) to enjoy the incredible scenery. Our Kruger Park safari finishes late afternoon in Johannesburg.